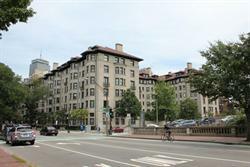 Enjoy the best of Boston at your door step with this classic two bedroom, two bathroom condo at the enviable Somerset building on Commonwealth Avenue. Strategically located between the Hynes & Kenmore "T" stations on the green line, you have your pick of public transit or keep your car in the attached garage for an additional fee. Take in the natural beauty of the Charles River and esplanade or an evening ball game at Fenway Park. Restaurants are plentiful and diverse with every flavor & taste within minutes. Easy access to all major routes via the Mass. 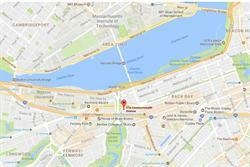 Pike, Storrow Drive, Route 9 and relative proximity to 93. Shoppers will delight at the chic boutiques of Newbury Street & the vast variety of the Prudential & Copley malls. Parquet floors throughout this fifth floor home that includes heat & hot water.